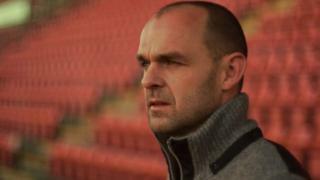 Former Liverpool midfielder Danny Murphy shares his FA Cup story with BBC Sport ahead of this year's first-round fixtures. Murphy, who started his career at Crewe Alexandra, went on to win the coveted trophy with his boyhood club in 2001. If you want to follow in Danny's footsteps, check out our Get Inspired football pages for information on how you can start your journey.